Enphase Energy is the leader in microinverters—technology that harnesses solar energy in a smart, efficient way to power homes and commercial structures. 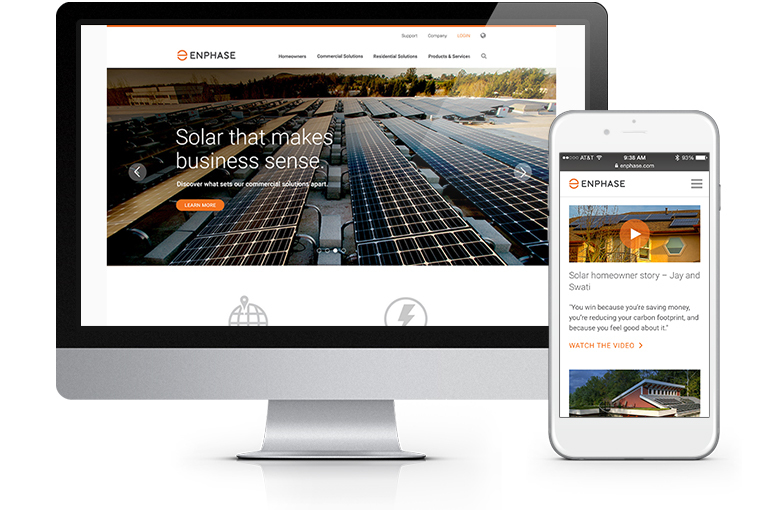 In redesigning Enphase’s site, Noble Studios transformed the brand’s web experience into one that engages and educates consumers about the benefits of its solar technology while also speaking to the needs of solar professionals. After undertaking research and discovery, we honed in on three distinct audiences, including homeowners, commercial and solar installers. Getting these users to their relevant topics quickly was a priority with the new design. 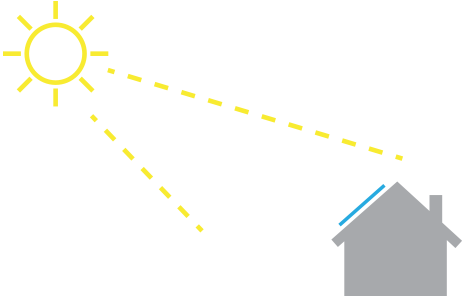 Solar installers looking for installation guides on their phones while perched on rooftops have little patience for clunky navigation—they need information literally at their fingertips. These users also have very different needs from homeowners comparing products, so the site is organized to funnel each user to the right place the first time. Close collaboration between Noble and Enphase gave rise to ideas such as data visualizations that clearly show how much energy has been saved by customers switching to microinverters. An interactive tool shows buyers how Enphase helps optimize their energy use. The installation map shows that Enphase microinverters can be found in all corners of the world. Case studies and testimonials show that ordinary people have realized extraordinary savings by using Enphase products. Enphase’s internal web team sought a scalable solution that would allow them to update the site regularly. To allow them to routinely create new pages without having to move digital mountains, we created a modular framework library. This means Enphase now has the freedom to build new pages quickly by simply dragging and dropping library of interactive modules. 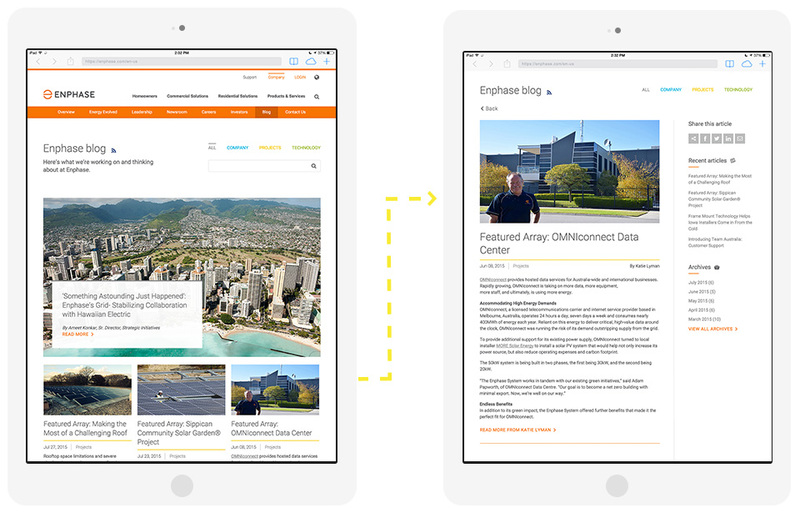 A modular layout gives Enphase more control over content presentation. Interactive tools allow homeowners to see exactly how Enphase will save them money. A more robust support section can be filtered by user type, providing personalized help for a variety of audiences. Enphase’s company blog now features organization by category, including company, projects and technology. A cleaner look and feel along with simplified navigation heighten the user experience. 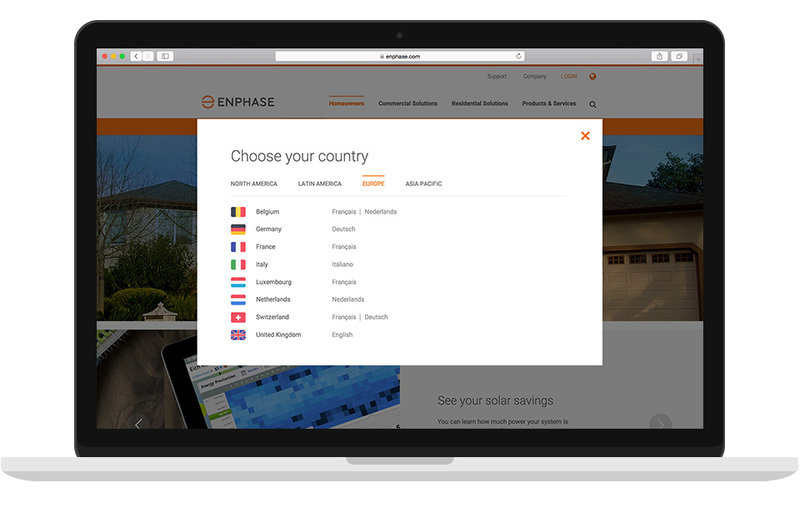 Enphase recognizes that is has customers across the globe, so we added multilingual functionality to the site. More than just a translation of the English version, each page features content specific to the user based on their selection of language. Users first choose their region, then their specific language for an optimized experience. Since initial launch, the bounce rate is down dramatically, while pageviews have more than doubled. Noble’s next step is to complete the localization effort and build the Enphase site in six different languages to appeal to a more global audience.